Happy Birthday to Ringo Starr. 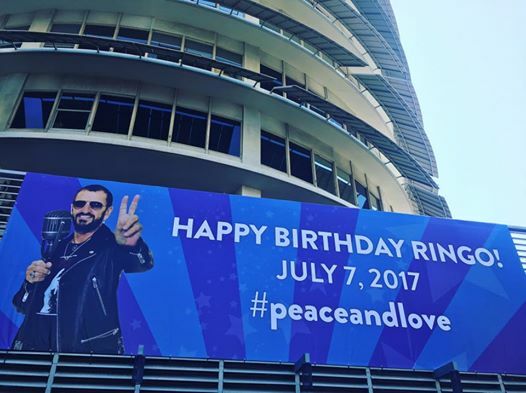 The Beatles drummer marked the occasion today with a star-studded afternoon bash at the Capitol Records headquarters in Hollywood, CA. Fans who weren’t able to make it out to the west coast could view the festivities via a live feed on Starr’s Facebook page. As usual, his wish was for Peace And Love, and that truly is what the world needs now. 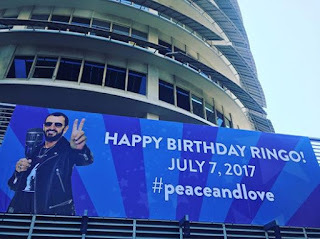 Peace and love to you too, Mr. Starkey. It’s hard to understand why the city of Chicago doesn’t have its annual Celtic Fest in Grant Park anymore, but we still have the smaller but freewheeling and eclectic Irish Fest at the Irish American Heritage Center on Chicago’s northwest side. 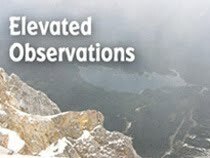 It kicked off today and runs through Sunday evening. In addition to the headline acts Gaelic Storm, Michael McDermott, Tupelo, We Banjo 3, Runa, Makem Spain, and Scythian, there are entertaining bands like Baal Tinne, The Gleasons, Larkin And Moran Brothers, and The Academy Of Irish Music. Attendees can also watch the high-kicking Trinity Irish Dancers, Foy School Of Irish Dance, and O’Hare School Of Irish Dance; check out an art show; and shop for gifts. Admission is $15. The Millennium Art Festival takes place this weekend on Lake Street at Michigan Avenue. It’s not one of the city’s bigger art events, but there’s always some interesting work on display there, along with a live music stage and food vendors. Plus, it’s right in the midst of several of downtown’s best attractions. There are at least three events this weekend for anyone who’s tired of seeing pretty much the same bands at everyone of Chicago’s outdoor events over the summer. West Fest, at Chicago Avenue and Damen Avenue, is teaming up with well-known indie rock venue Empty Bottle in presenting a lineup that includes Local H, Har Mar Superstar, Speedy Ortiz, Woods, Palehound, and Cymbals Eat Guitars. Square Roots Festival is being presented by The Old Town School Of Folk Music on Lincoln Avenue between Montrose and Wilson, and has Nikki Lane, Meat Puppets, and Lucero. Ruido Fest in Medill Park casts a spotlight on Latin alternative rock acts like Molotov, Desorden Publico, and Julieta Venegas. Chicago-based alt rock band whitewolfsonicprincess will be playing at Tommy Nevins in Evanston this Sunday at 5:00 p.m., and at The Red Line Tap next Sunday, also at 5:00 p.m. The Red Line Tap gig will be part of the R And R Circus series whitewolfsonicprincess has been staging at that venue on a semi-regular basis. In between the last paragraph and this one, I took a short break to go watch Band Called Catch performing their homespun original alt rock tunes at the Fred P. Hall Amphitheater right here in Palatine. I had forgotten how good their vocals are, and they’ve added a third singer since the last time I saw them. Secret Colours, has a record release party for its new Dream Dream album coming up on July 15 at Martyrs’ on Lincoln Avenue. Yoko And The Oh No’s and Soft Candy are also on the bill. The Rage And Rapture Tour, featuring Blondie and Garbage with special guests John Doe and Exene Cervenka from X, comes to Ravinia on July 22. The Pitchfork music festival returns to Chicago July 21–23, offering over 40 bands on three stages in Union Park. There are several big names involved, including LCD Soundsystem, Thurston Moore Group, A Tribe Called Quest, PJ Harvey, The Feelies, Solange, and Ride. The Chicago-based band Ne-Hi will be performing songs from their impressive new album at 2:30 p.m. on Sunday of Pitchfork. For a complete Pitchfork schedule as well as thumbnail bios of the participants, pick up a copy of Innerview Magazine at stores like Reckless Records. The Chicago-based Innerview publishes “Know Before The Show” guides to major events in town. Look for their annual Lollapolooza issue to appear in a few weeks. Former WXRT and WLUP air personality Rob Skafish will be at the Chicagoland Record And CD Collectors Show in Hillside from 8:45 a.m. to noon on Sunday, July 16 to sell and sign copies of his book We Have Company: Four Decades Of Rock And Roll Encounters. Last week I mentioned that An Evening Of John Lennon, featuring Phil Angotti, Tommi Zender, and Casey McDonough, was coming up at City Winery Chicago, but I forgot to mention the actual date, which is August 6. In the meantime, Angotti will be part of the Great Moments In Vinyl ensemble when it covers The Beatles White Album next Friday, July 14 at Martyrs’ on Lincoln Avenue. Jay Goeppner brought his band Backdated to his hometown of Mount Prospect on the 4th Of July and gave the festival a rollicking finish. Backdated takes its name from The Who song “Substitute,” so it was no surprise to hear them cover at least three Who songs. They also did well with stuff by The Doors, Chicago, The Hollies, and other 1960s acts. Another highlight of Mount Prospect’s 4th Of July celebration on Tuesday was the Motown revue band R-Gang. These guys have a great stage presence and cover a range of rhythm and blues songs that includes Stevie Wonder, Smokey Robinson, The Time, and Fine Young Cannibals.